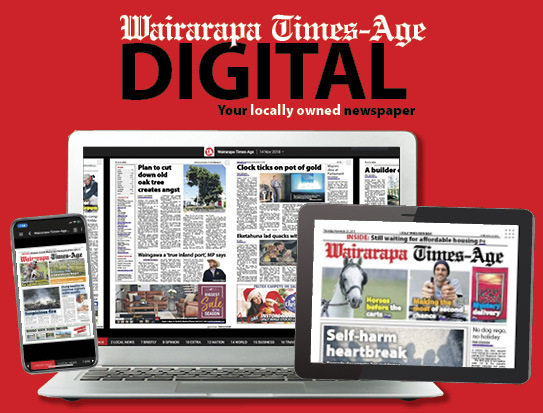 The widow of a Martinborough motorcyclist who died attempting to overtake a turning logging truck with failed indicator lights, says it was the result of “a bad mistake and bad timing”. 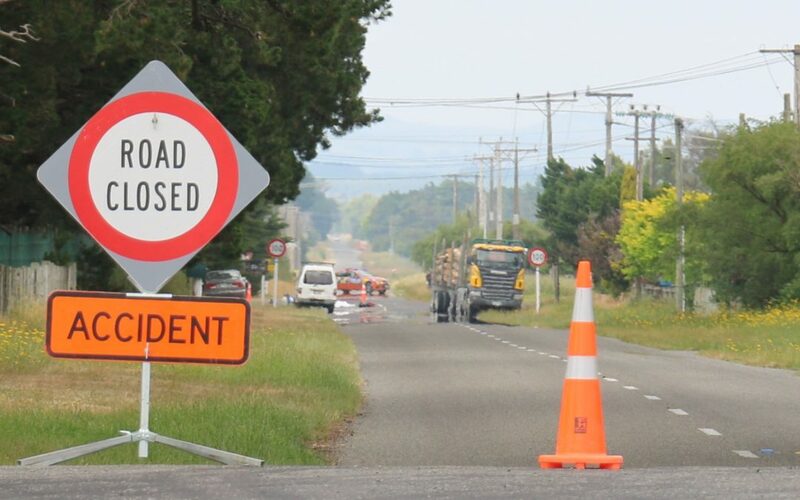 Marco Marius Overdijk, 69, also known as Overdale, was on his way to meet a friend for lunch on November 29 last year, when he attempted to overtake a fully-laden Akitio Trucking Ltd logging truck at the intersection of State Highway 53 and Boundary Rd, near Featherston. As he began to overtake, the truck began turning right into Boundary Rd, and Overdijk collided with the front twin axles of the trailer. He suffered chest and neck injuries and was pronounced dead at the scene shortly before 10am. Coroner CJ Devonport’s report into Overdijk’s death found that while he was attempting “an illegal and unsafe manoeuvre” in trying to overtake the truck at the intersection, an electrical plug linking the truck with its trailer was not fully in the socket, and “no day running lights or indicator lights were operating on the trailer”. Marco Overdijk, with his wife Ursala Overdale. Overdijk’s wife, Ursala Overdale, told the Times-Age that before the report’s release last week, she had already accepted what the police had told her, that her husband was at fault. “The short answer is that Marco was overtaking at an intersection, and he shouldn’t have been doing that. “The fact the trailer indicators weren’t working, that’s just a bad mistake and bad timing all round,” she said. 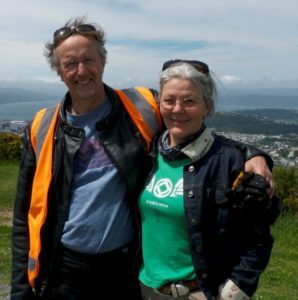 Overdijk, a former senior IT officer for Metservice, had a motorbike licence from the age of 18, and was described by his family as a safe rider. The couple, married for 21 years, had travelled more than 250,000km across the world on a motorbike. 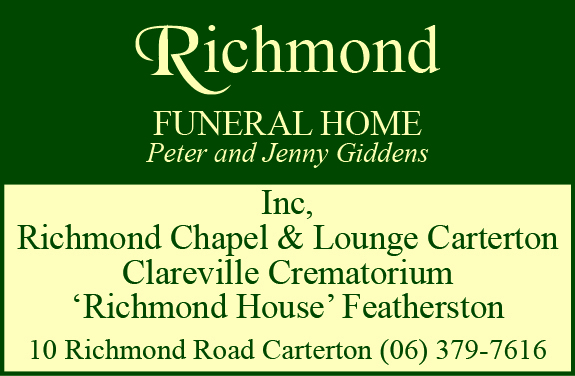 Overdale was not aware of any charges being laid by police against the trucking company. While she did not want to pursue charges, she was curious if the trucking company had made any changes to its safety procedures. Akitio Trucking Ltd general manager Alexander Hunink said he preferred not to comment until after reading the coroner’s report and speaking to police. The coroner’s report states that the truck driver, who has met Overdale since the incident, believed his lights were operating before he attempted the turn on to Boundary Rd. “I don’t want to do anyone further harm, but what does that actually mean?” Overdale said. “Did he put his indicators on and walk all the way round his truck to see if they were working or not. Stuart Edwards, of Green Jersey Cycle Tours, was travelling towards Featherston on SH53 when Overdijk passed him, travelling at about 85kmh. Edwards described Overdijk as “calm and relaxed” as he gave him “a big wave” while passing. Minutes later Edwards came across the incident. “That indicated to me that Marco was relaxed, and he wasn’t in a hurry, it was a nice day and he was off for a ride to meet a friend for lunch. Overdale said the report answered questions she had about the truck, but confirmed to her that Overdijk did not suffer – “I was happy with that”.